30 years creating Custom Kitchens, specifically designed to your space, design approach and built to specification by passionate cabinetry artists. 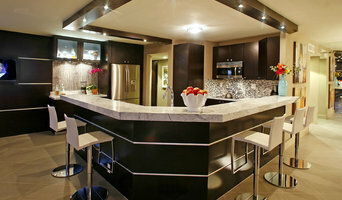 Entrust your kitchen to a professional with practical application. 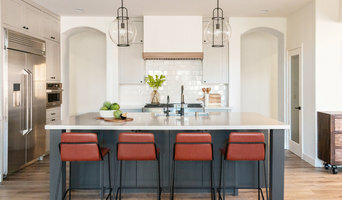 Affirming Kitchen Clarity encourages principals to review the experience and unlimited design options available including exotic veneers, hand rub and buff poly finishes, metal finishes, mixed unlike materials in harmonious door designs, the options are ...... unlimited. The excitment of designing a new space is a joyful experience and I tend to get carried away and say: I love this color I love this detail, This molding shape is perfect, Oh! we have to push this cabinet back so it is flush cleaning up the design We created an awesome accessory to store those pots and lids for easy access Getting carried away from using quality materials, understanding transitions, and knowing the fact that the craftsman that are building your kitchen are passionate in their work, So I may need correction when I use these words of love, perfect and awesome, for as beautiful as a space we can create there is nothing I love more than God and what he has done for me by sending his perfect Son to redeem me and how awesome is that! DSI’s focus is creating an incredible environment that inspires and motivates you and your family. Our team of designers is experienced in providing planning, budgeting, specifying and purchasing of all products being supplied. We design - we plan - we purchase – we install. We are one-stop shopping at its finest! We specialize in flooring, Counter tops, ceramic tile, wall treatments, specialty cabinetry items, furnishings of all kinds including art, mirrors and accessories. 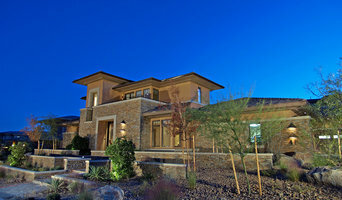 DSI has completed many homes in the Las Vegas Area. To assist you in selecting a style and see our work we encourage you to look at our numerous model home projects around the Las Vegas area. 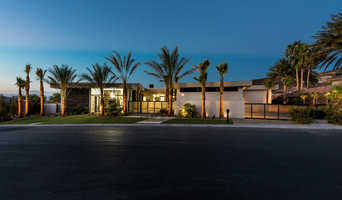 Serving Las Vegas, Nevada with over 20 years of woodworking experience, Stellar Woodwerks strives to meet the unique challenges of your projects by engineering practical designs in construction in addition to function. In the last 20 years, we have overseen more than 2,500 projects. At Stellar Woodwerks, we realize there is a valuable investment at stake and we work diligently to meet the requirements that protect the client’s investment the most. At Stellar Woodwerks, the goal is to exceed your expectations in Customer Service, Design and Fabrication. From Concept to Completion. We are a full service Interior Design Company that works on large and small projects. One of our specialties is Designing homes from the ground up. We start by working with the Architect to make sure each space is properly designed for the Clients needs and desires. We then specify all the finishes and details, to make life easy for your contractor to follow. finally we graduate to the interiors such as Furniture, Window Coverings, Accessories etc. No Job is too big or too small. We are a proud Mom and Pop cabinet shop. We take great pride and enjoy working with our customers to make their home more functional and beautiful. After 21 years in the Navy Gary retired back to his love of woodworking. At first, he ran a large cabinet business but missed having his hands working the wood. He then went to a small family business for a while but after a few years decided to go out on his own. He had a very small shop in Washington for a while but after meeting Roseann he moved down to Las Vegas in 2011 and made a small Mom and Pop cabinet business in Las Vegas. That is when Chiefs Home Improvement was born. Since then we have enjoyed every minute of helping more and more people improve the look and functionality of their homes. We will do small cabinet repairs, such as fixing a broken door or drawer all the way to making you a brand new full kitchen. We enjoy doing the more custom jobs to fill the exact needs of our customers. We work with our customers to make sure we are understanding the exact design elements they are wanting, even if they are not sure we work with them to figure it out. We believe anything made of wood we can make build or fix for you. We also do refinishing of cabinets along with upgrading the cabinets with new soft close hinges and glides. We look forward to helping you make you project exactly what you want!